Here at our ranch we have found Katahdin hair sheep to fit many of our needs, which makes them functional and purposeful. We have found them easy to maintain with very friendly demeanors. This is important to our needs because the sheep play very important roles in large annual live nativity scenes as well as participating in the petting areas for our annual Farm Day celebration! Although we do not eat sheep meat on a regular basis, there is a very good market for their meat which makes them attractive to customers. Whether you are looking for colorful friendly pasture pets, or a healthy meal Katahdin hair sheep deserve your consideration. If you have any questions or concerns please feel free to contact us. Please see Katahdin breed characteristics below for more in depth description of Katahdin hair sheep. Coat: The hair coat of the Katahdin varies in length and texture among individuals and can be any color or color combination. It generally consists of coarse outer hair fibers and an undercoat of fine wooly fibers that becomes very thick and longer if cold weather sets in and day length decreases. This undercoat and some hair naturally sheds as temperature and day length increase seasonally, leaving a shorter, smooth summer coat. While some uses may be found for the shed fiber, it is generally not harvested. 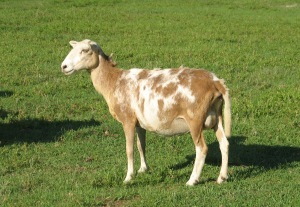 Crossbreeding: The Katahdin can be used in crossbreeding programs. When crossed with wool sheep, the first generation offspring will in most cases have wool fleeces with hair interspersed (the wool from such crosses should be segregated to avoid contaminating higher quality wools). It usually takes at least 3 generations, depending on the type of wool sheep parentage, to obtain offspring with a shedding hair coat and other purebred characteristics. 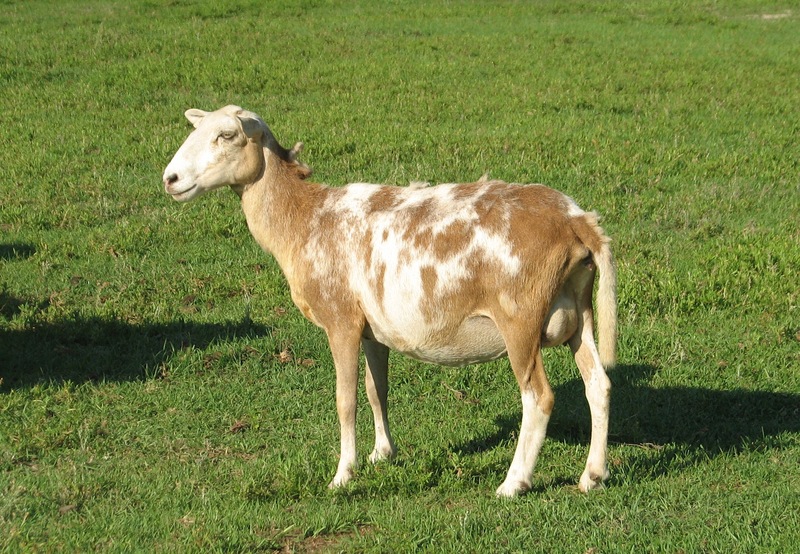 Katahdin ewes are well-suited as a base in a terminal sire crossbreeding program to produce market lambs.